Lori Most is the Founder and CEO of BinaryBridge, a start-up that builds tech solutions for global humanitarians. 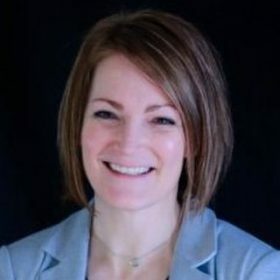 Most pairs her software development background with her efficiency expertise to design solutions that are lean, relevant, and provide significant cost savings to her target teams. She received a grant to build her initial P2P prototype in 2015, which was used to facilitate orthopedic surgical trips in Pucallpa, Peru. And then Most quit her day-job in 2016 to focus on a new product to support medical aid teams, BackpackEMR, which is in high demand after successful pilots in Haiti and Peru. Stress-relievers include coaching high school/college rugby and playing hockey on the side, along with reading sci-fi/fantasy books. You can follow her on Twitter @Lori_Most, @Binary_Bridge, or @BackpackEMR and learn more at BackpackEMR.com.